Make a small 2 inch tear in the top of the pre-cooked quinoa, and microwave for 1 minute. 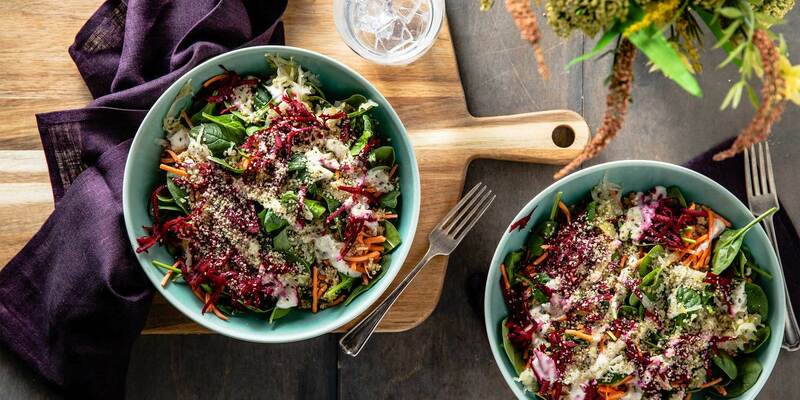 Divide the quinoa, baby spinach, shredded carrot, and shredded beet into 2 serving bowls. When you’re ready to eat, top with sauerkraut and hemp seeds, drizzle with the creamy garlic dressing.